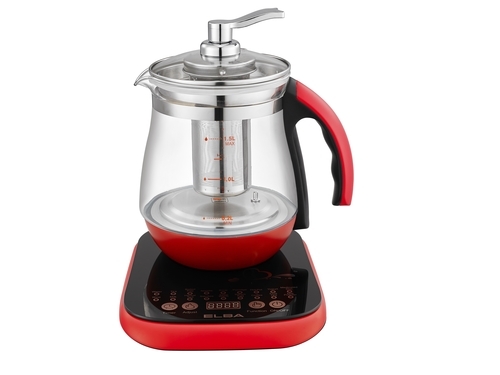 Multi function with preset programmes for boiling water/eggs, brewing tea/herbs and making yogurt/soup. 8 levels adjustable power from 100W-800W. Up to 24 hours preset timer and 2 hours cooking timer. LED digital display for time and temperature. Removable borosilicate glass pot, crystallite glass lid and base. Includes an egg tray that holds 4 eggs.